Dungeons and Dragons used to be a harmless game, well, unless you took one of those pointy dice to the eye when a sore loser has a bit of a rage on. In Party Slashers, the risks are a bit more severe as some highschoolers accidentally summon undead mass murderers. 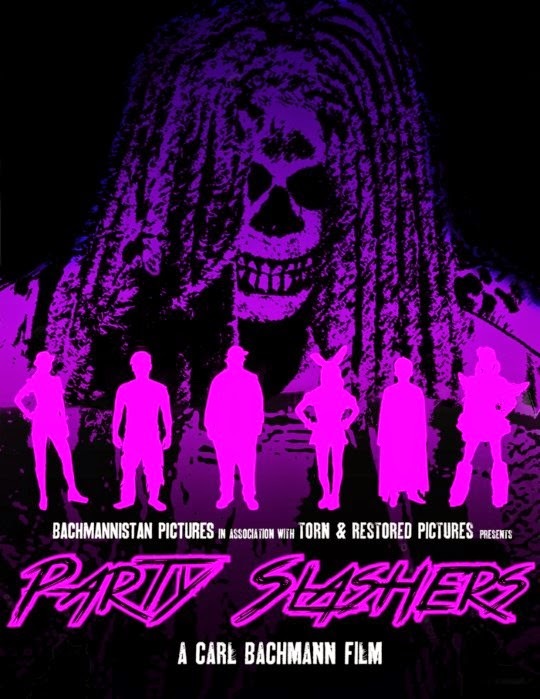 Written and directed by Carl Bachmann (who previously produced and directed critically acclaimed Miracle on Metal Street), Party Slashers follows the group of teenagers as they try to do the usual things teenagers do but end up showing their true selves when they have to deal with the undead "Revenants". Party Slashers is currently on Kickstarter and is looking for backers. As usual, there are a number of rewards for varying degrees of financial support, with the highlight being contributors in the $35 bracket who will get their own grindhouse style poster incorporating their own sent photo. Check out the teaser trailer below and head to Kickstarter if you want to give a fun and stylish undead film the chance to live.